Traditionally, I think applique and embroidery are done first and then the entire thing is quilted. Of course, traditions can be broken any time you please. I recently finished a hand embroidery/cross stitch project on my straight stitch machine. I did a lot of cross hatching type work in the background and FMQ close to the embroidery. I've always wondered about this, especially with embroidery such as rework. Thanks for asking the question, I will be watching the replies. 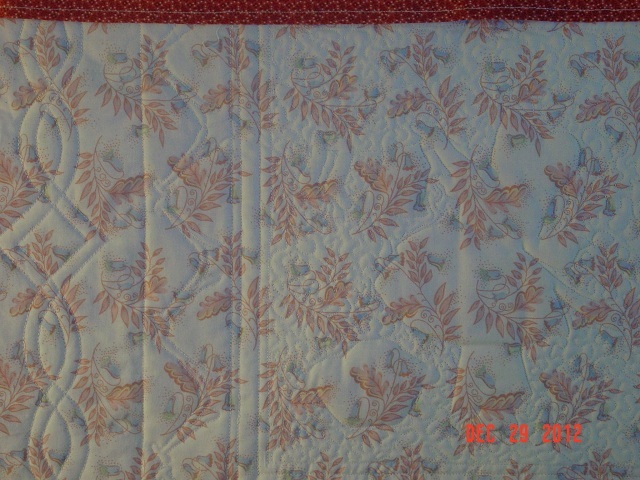 I dd a pre-stamped cross stitched baby quilt years ago that was on white pre-quilted white cotton. The front looked great but the back was hideous with all the thread ends on it. I do all detail embroidery and appliqué before sandwiching the quilt now. SAme here. otherwise you have all the loose threads in the back! 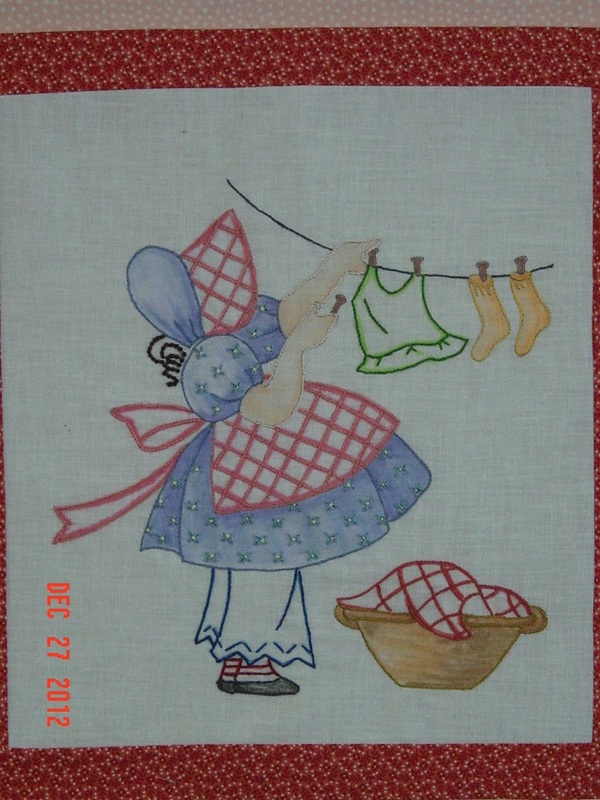 I do the applique and hand work before quilting. This is a small sample of what the quilting around the embroidery could look like. I machine stitched close to the edge of the design and it is almost invisible. The quilting shows on the back and I think it looks cool to have that shadow. That is exactly what I would have done. It looks great.